93 King St. E., Dundas, ON, L9H 1C1 Near King St. E. & Thorpe St. Your next Bachelor, 1 Bedroom, or 2 Bedroom apartment is waiting for you in the beautiful Valley Town of Dundas. 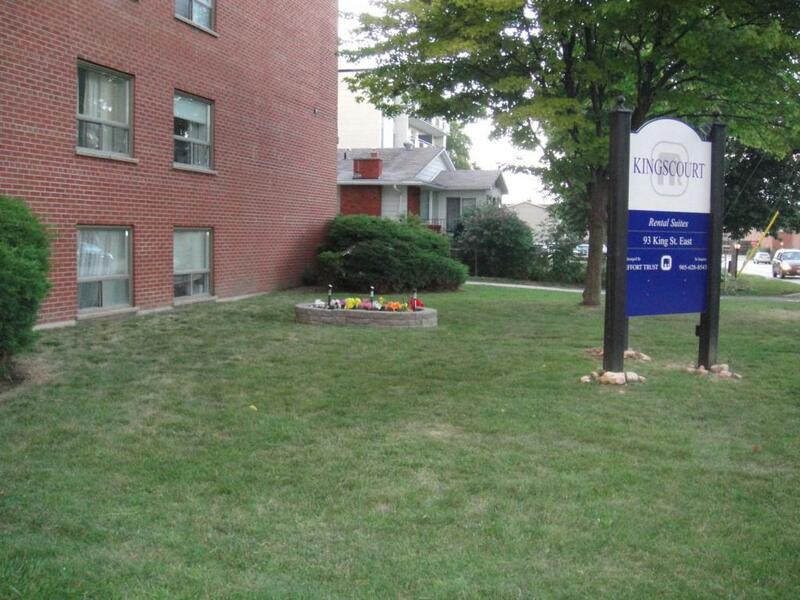 Professionally managed by Effort Trust, Kingscourt Apartments is nestled in a small community with a thriving downtown core filled with shopping, arts, culture, and recreation.